The Manitoulin Expositor Salmon Classic is getting down to the nitty-gritty as we head into the second last weekend of fishing. 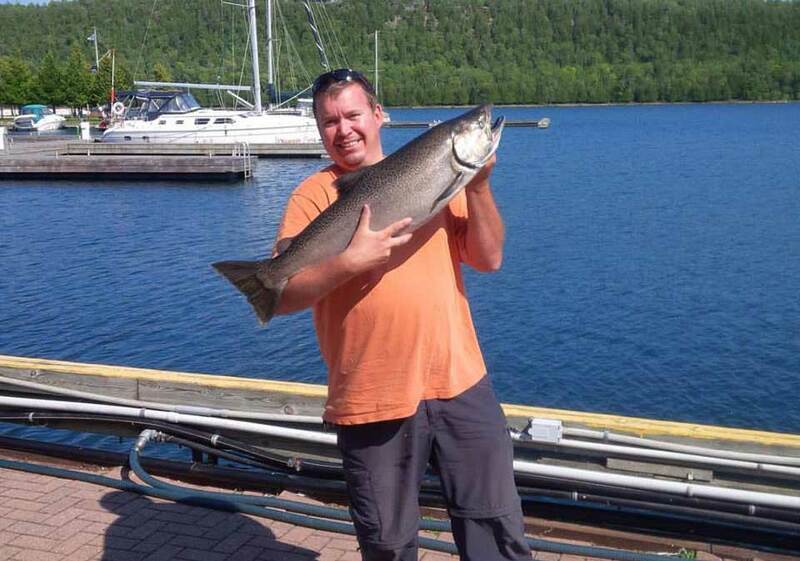 Providence Bay has started to dominate the leaderboard with numerous bigger fish coming in seemingly every day. South Baymouth has been very quiet for the past little while and with the exception of the monster Jesse Cundari bagged not much has been happening. I think it is time for the South Bay folks to move in closer or take the short boat ride over to Michaels Bay. I know fish will remain in the depths for a little while longer but this derby will be won in the bays next week. Gore Bay, Mudge Bay, West Bay, Providence Bay and Michaels Bay will all hold fish early morning and in the evenings. Fish of size have been taken on the South shore in 30-50 fow flat lining and on downriggers 20′ on the ball. I have also received some good reports of salmon being caught casting Crocs and Cleos off the river mouth in Michaels and Providence just after sunset and early morning. A few days ago I walked up the Manitou from the ramp and I did not have to go far until I spotted a dozen or so nice big fish exploring the river. That should tell you where you will catch the fish in the final 11 days of the derby. It always amazes me as I troll in the shallows all the boats blowing past me to go out wide. May, June, July and especially now are all good times to catch fish in the shallows. If you can get up with the birds you always stand a great chance at fish. If you read my last report I said that one of the top 3 fish would come from Gore Bay weigh station. Just like clockwork Martin Connell nailed the 21.32 pounder pictured above the very next day. The fish was taken 80′ on the ball in West Bay. Anyone looking for a chance to get an entry in the ‘Can you out-fish Dave?’ contest, I will be heading out to Michaels Bay tonight for some lone wolf action. 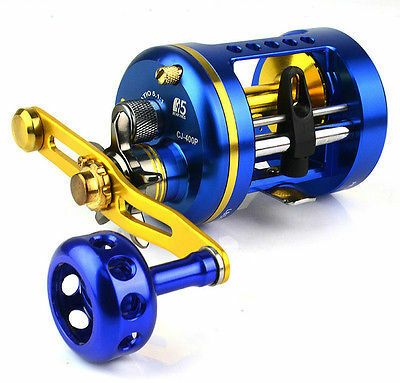 I have to try out a pair of new reels that Blaine talked me into yesterday at Up Top Sports. I used to use Okuma when I lived in Australia and they held up well to the rigours of shark and snapper fishing so I am excited to get out tonight. These are the ones I bought pictured below. To top it off they are shiny and I do like shiny!